Concession operated, located in the John D. Rockefeller, Jr. Memorial Parkway, just south of Yellowstone National Park’s south boundary and five miles north of Grand Teton National Park. 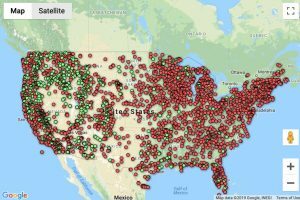 175 sites in the spruce-fir forest, full hook-up RV sites (20 amp electric). Call for reservations for both trailer sites and tent sites.